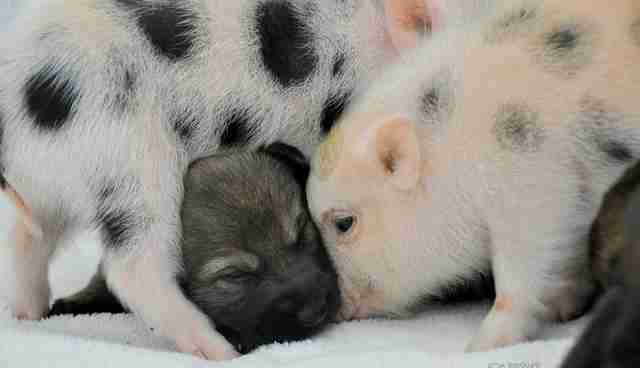 This adopted interspecies family won't stay little for long. 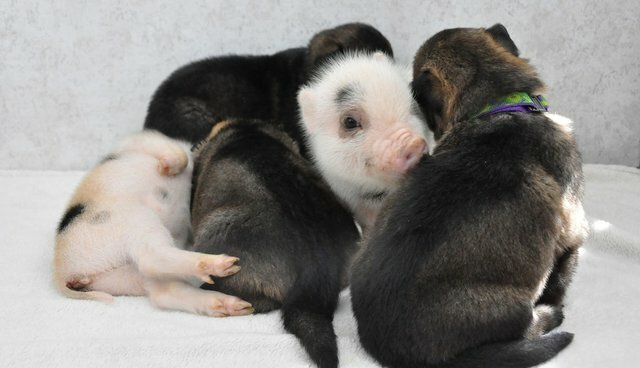 Owned by the same Michigan woman, a group of newborn mini Juliana piglets and a group of German Shepherd puppies have quickly become the best of friends. 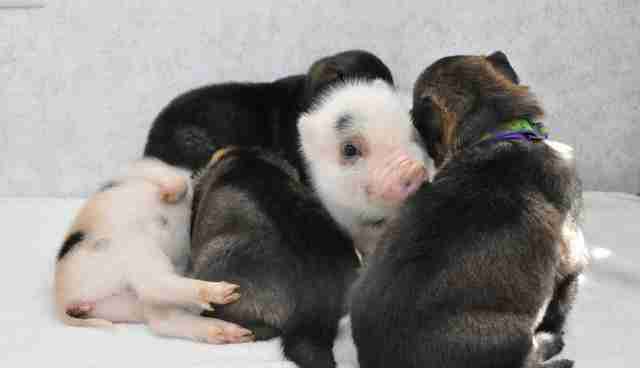 According to their owner, all of the baby animals are raised inside and will spend the majority of their early lives socializing with one another. 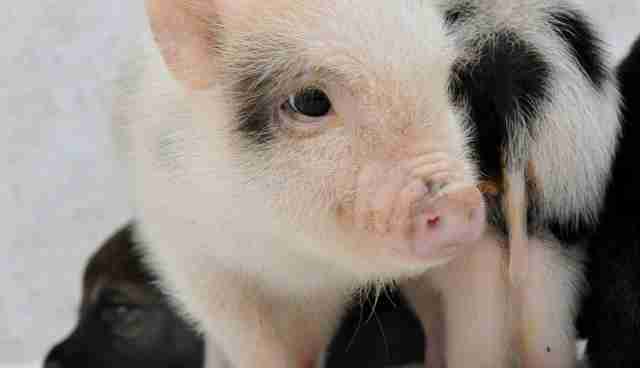 While these piglets will grow up small, many pigs who are marketed as "mini" -- like Esther the Wonder Pig -- actually end up being normal sized hogs, and often end up living in shelters instead of real homes. 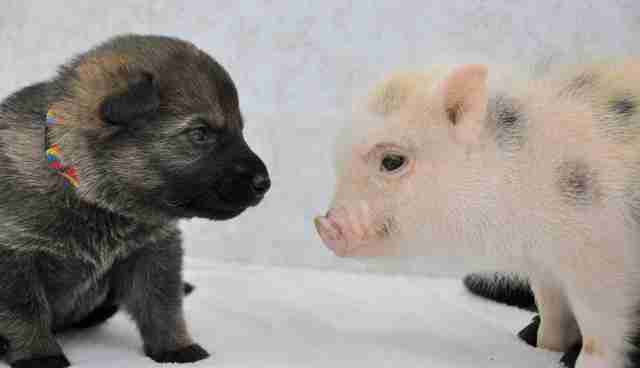 But these baby pigs will likely be safe from that fate: they will only grow to be about 40 pounds, much smaller than their puppy friends, who are expected to weigh in at double that once they're fully grown. 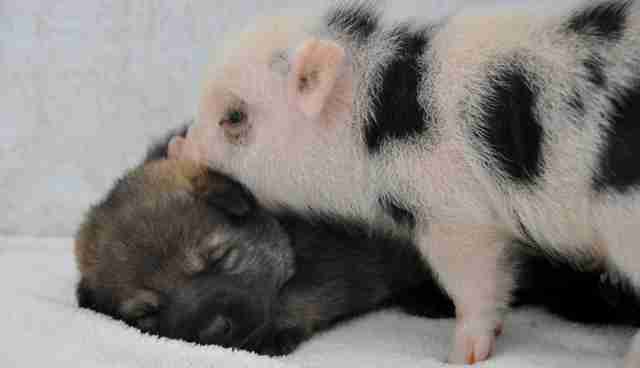 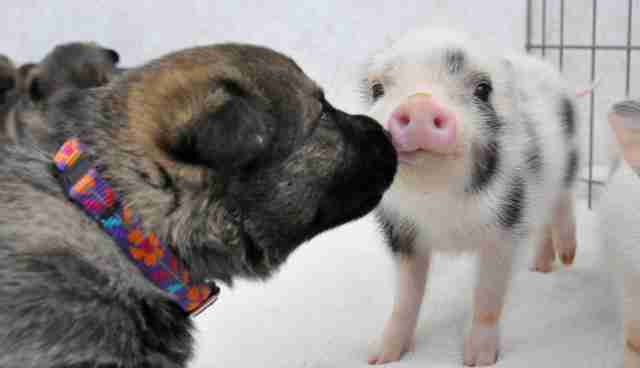 Photos via Vom Flussblick German Shepherds and Michigan Mini Juliana Pigs.